Albums released in April and May of 1973 were a mixed bag. Some solid releases from existing bands, some excellent debut albums by new bands, and one release that came out of the blue and took the charts by storm based on the success of the movie that featured it as a soundtrack. Let’s dive right in to some of the highlights. Down The Road was the second, and unfortunately the final, studio album by Manassas. I have already written about the reasons for this being their last album in my The Southern California Sound #13 post from last year….check it out if you are interested. In the meantime, here is a great Chris Hillman song from the album. I can’t tell you how much I wish that someone still made music this good! There is a great story that goes along with this one. After Randy Bachman left/was forced to leave the Guess Who he created a new band, Brave Belt, that never really caught on. They lost their recording contract and were about to give up when fate intervened. Here is the story as captured on Wikipedia….. In April 1973, Charlie Fach of Mercury Records returned to his office after a trip to France to find a stack of unplayed demo tapes waiting on his desk. Wanting to start completely fresh, he took a trash can and slid all the tapes into it except one which missed the can and fell onto the floor. Fach then picked up the tape and noticed Bachman’s name on it. He remembered talking to him the previous year and had told Bachman that if he ever put a demo together to send it to him. While playing the first song on the 7½ inch reel, “Gimme Your Money Please”, Fach called Bachman to tell him that he wanted to sign the band. Charlie convinced them to change their name to Bachman Turner Overdrive and the rest is history. Let’s listen to the song that saved them. 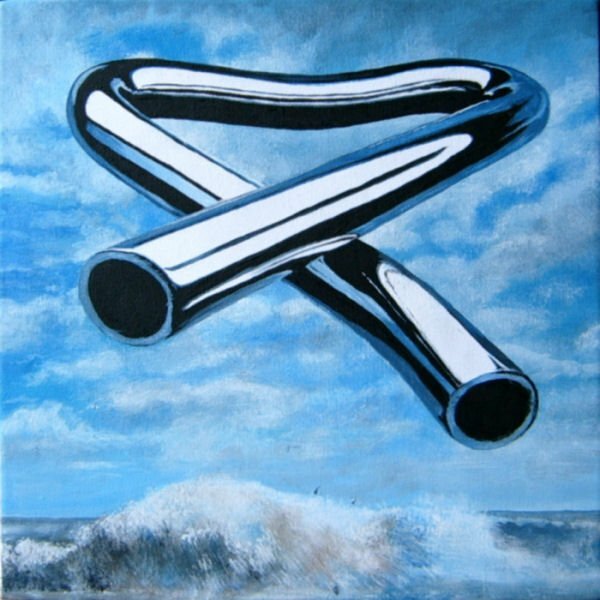 Tubular Bells came out of no where back in May of 1973. It was recorded by Michael Oldfield when he was only 19 years old and garnered significant radio plan later that year when it was featured as part of the sound track of the hit movie The Exorcist. Let’s listen to Tubular Bells part one which took up the whole first side of the album when it was released. Just like I long for music as good as Can’t You See…..I also long for the days when a single song could span the entire side of an album. !